FlightSoft’s Fly to Great Britain FSX is one of the most sought after add-ons featuring the holiday destinations in the United Kingdom. 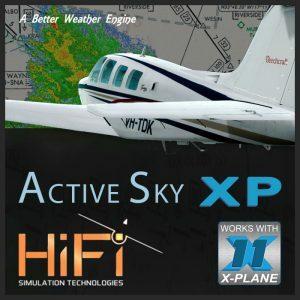 FlightSoft brings you hundreds of hours of fun and enjoyment with some of the most meticulously crafted automated approaches to the United Kingdom’s most famous and exciting airports including London’s Heathrow International Airport, Gatwick Airport and famous airports in Wales, Scotland, Ireland and even some African nations. Fly to Great Britain FSX will challenge your PC pilotage skills with plenty of approaches to airfields with the most challenging terrain and crosswind weather conditions that keep many a real airline pilot on their toes. You’ll be immersed in a large library of Automated Approach Flights to airports throughout the United Kingdom in real weather conditions which often require the most astute training in IFR. Fly to Great Britain FSX is your passport to exciting hot destinations including London, Stanstad, Manchester, Glasgow, Birmingham, Bristol, Dublin and even Bonus Destinations of Johannesburg South Africa and Dar-Es-Salam in Tanzania – Africa. You’ll get plenty of practice in IFR and VFR flight rules and become attuned to the unexpected changes in crosswind maneuvers and the importance of the most sophisticated and modern ILS (Instrument Landing System) lights on the runways ofn the most modern airports in the world. Fly to Great Britain FSX will place you in the drivers seat in many of the popular jumbo jetliners flown throughout the U.K. and Europe You’ll fly in style with ne of the most sophisticated MD10cockpit panels for Microsoft Flight Simulator X with all the toolss at your fingertips to experience flying in the most impressive surroundings and in a region with a historic past and rich future in some of aviation’s most impressive and modern airports. Now supports FSX Boxed Edition, FSX Steam Edition, Prepar3D v1.4 and Prepar3D v2.x and Prepar3D v3.0 in one super-installer.